Finding old photos and magazines is always interesting. 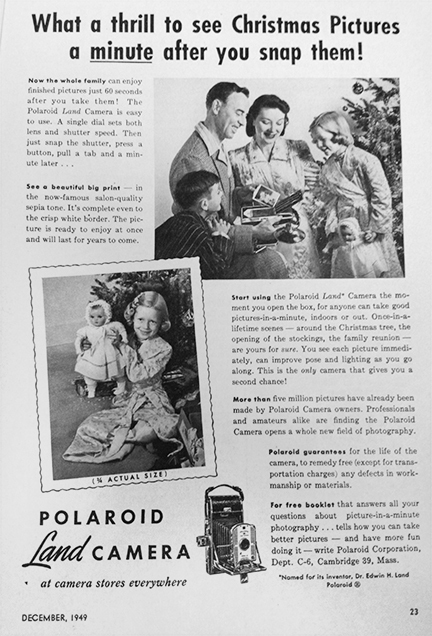 Yet, this issue of "The Camera Magazine" is dated way back to December of 1949! It's in decent shape, and I found some of the ads to be fascinating. Imagine seeing your photos in "just one minute". The text goes on to say "This is the only camera that gives you a second chance." 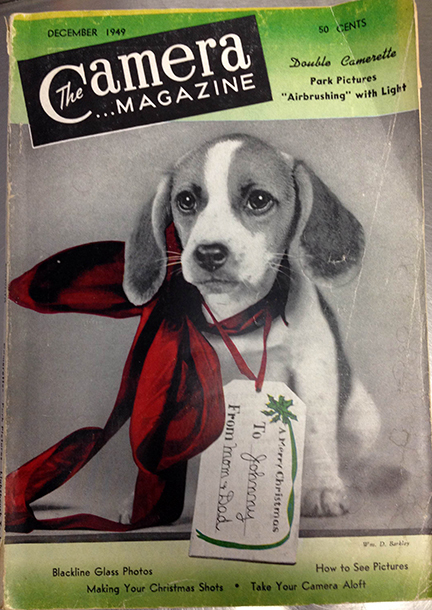 The entire issue is in black and white with the exception of the puppies red scarf on the cover.